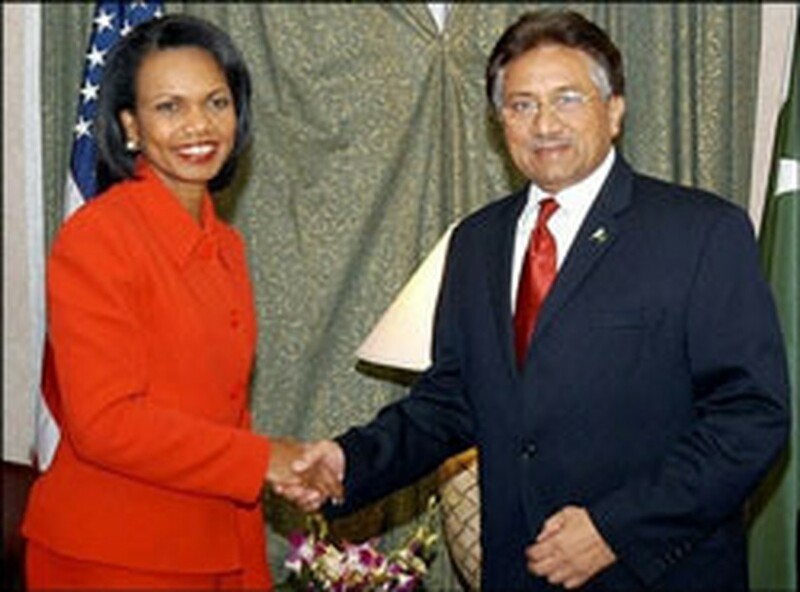 The United States threatened to bomb Pakistan "back to the stone age" in 2001 unless it cooperated in the US-led war on terror, President Pervez Musharraf said in an interview. Musharraf, whose support for the US-led invasion of Afghanistan was instrumental in the fall of the hardline Taliban regime after the September 11, 2001 attacks, said the threat came from former deputy secretary of state Richard Armitage. The Pakistani leader said the comments were delivered to his intelligence director, according to selected transcripts of the interview with CBS television's "60 Minutes" investigative news programme due to be broadcast Sunday. "The intelligence director told me that (Armitage) said, 'Be prepared to be bombed. Be prepared to go back to the stone age'," Musharraf said. "I think it was a very rude remark," Musharraf says in the interview. "One has to think and take actions in the interests of the nation, and that's what I did." Shortly after the September 11 attacks, Pakistan has arrested several senior Al-Qaeda members including Khalid Sheikh Mohammad, the alleged mastermind of the 2001 attacks. The South Asian country has also deployed around 80,000 troops on the rugged border with Afghanistan to hunt pro-Taliban and Al-Qaeda linked militants who sneaked into the area after fleeing the US-led invasion of Afghanistan. Armitage's alleged threat also demanded that Pakistan turn over border posts and bases for the US military to use in the war in Afghanistan, which ended with the Taliban regime's collapse in late 2001. Other "ludicrous" demands required Pakistan to suppress domestic expressions of support for militant attacks on US targets, according to the CBS, which produces 60 Minutes. "If somebody's expressing views, we cannot curb the expression of views," it quoted Musharraf as saying. In the interview, Musharraf also reveals an embarrassing episode in which former CIA director George Tenet confronted him in 2003 with proof that Pakistan's top nuclear scientist was passing secrets to Libya, Iran and DPR Korea. Abdul Qadeer Khan, held as hero in Pakistan for helping to make the country a nuclear power, admitted giving away nuclear secrets in a televised confession in February 2004, exposing a global black market in nuclear technology. "He (Tenet) took his briefcase out, passed me some papers. It was a centrifuge design with all its numbers and signatures of Pakistan. It was the most embarrassing moment," Musharraf says. It was only then, he says, that he realised that not only had blueprints been leaked, but that centrifuges themselves -- a crucial technology needed to enrich uranium to weapons grade -- were being passed on, CBS said. Musharraf denies that anyone in the government or military was aware of the leak. He pardoned Khan the same month, but the ailing scientist has since lived under virtual house arrest in a leafy diplomatic sector in Islamabad and makes no public appearances.